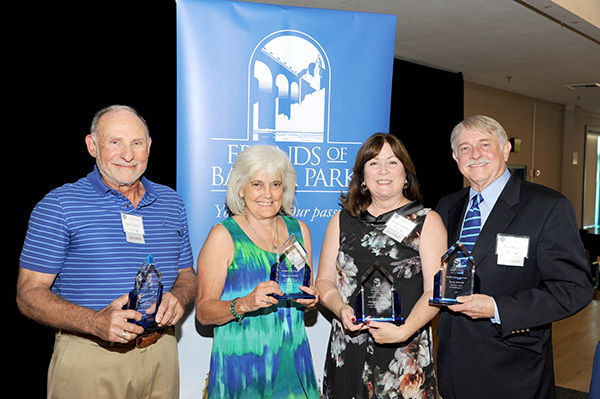 Friends of Balboa Park, a nonprofit that preserves the legacy and beauty of the park, celebrated the honorees of its 17th annual awards luncheon last month. This year’s event, themed “Magical Menagerie,” commemorated the nonprofit’s recent acquisition of the historic Balboa Park Carousel. The luncheon also recognized institutions and organizations throughout the park that have enhanced it throughout the years. “The annual awards luncheon is a flagship event of Friends of Balboa Park and I am thrilled we can celebrate a historic milestone of our organization by our operation of the carousel, as well as again recognizing such distinguished talent and unequaled dedication amongst the park’s volunteers and employees,” said John Bolthouse, executive director of Friends of Balboa Park. 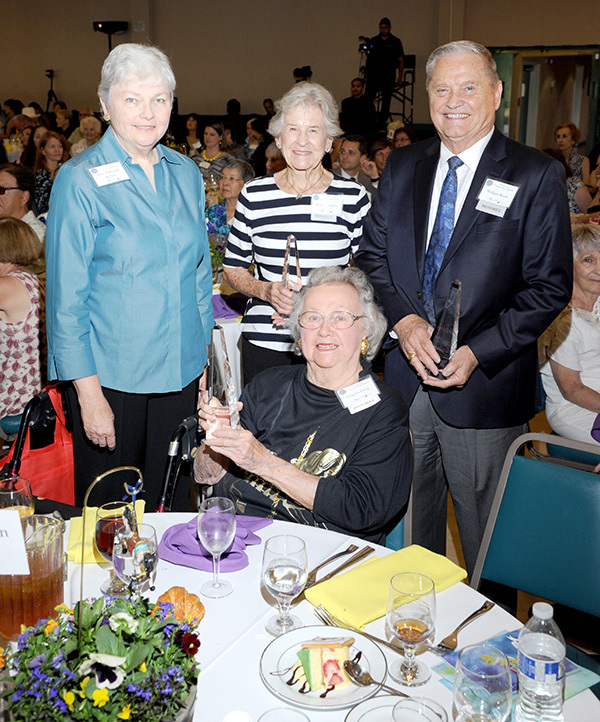 The Millennium Award — Virginia Long, Arlene Simpson, and Bill Steen: Presented each year to individuals and organizations that have made important, long-term contributions to Balboa Park. This year, the award was presented by former state Senator Christine Kehoe and recognized the three San Diego families who owned the Balboa Park Carousel over the last 100 years prior to FoBP taking ownership in summer 2017. 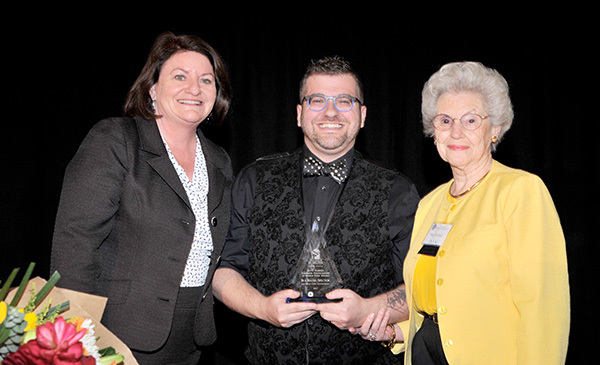 Emerging Young Leader of Balboa Park Award — Ira Bauer-Spector, San Diego Civic Youth Ballet: Inaugurated in 2016, this award recognizes exceptional promise and potential of emerging professionals who have demonstrated leadership by example in Balboa Park. As marketing and communications manager, this young man’s impressive creativity, marketing and leadership skills, coupled with his broad range of talent, has resulted in important initiatives that have advanced the mission of the SDCYB. Inspiration Awards: In recognition of significant and long-term contributions of service to Balboa Park and/or to one or more of the organizations in Balboa Park, these unsung heroes contribute many thousands of hours in service to the park: Melanie Flynn — San Diego Museum of Man; Barry Goldlust — San Diego History Center; Sheri Knox — San Diego Natural History Museum; Wendy Ledford — Globe Guilders (The Old Globe Theatre); Paul Meyer — Balboa Park Conservancy and Balboa Park Trust. Held on Oct. 17 at the Balboa Park Club, the luncheon was attended by more than 350 guests, including dozens of dignitaries and community leaders. KPBS anchor Sally Hixson served as keynote speaker. This year’s luncheon was co-chaired this year by volunteers Carol Fitzgibbons and Maureen Lamberti. Featured sponsors included Connie K. Golden, Darlene Marcos Shiley, Siefel-Behner Charitable Fund, and George and Cynthia Driver. For more information about the annual awards and luncheon, call 619-232-2282 or visit friendsofbalboapark.org/luncheon. — Reema Makani Boccia is a local public relations professional who provides communications services for Friends of Balboa Park. For more information, visit friendsofbalboapark.org.